The judgment states that they put him in potentially dangerous situations even though they knew he received threats from certain circles he wrote about in his articles; that they tried to discredit him as an investigative journalist insisting he reveal the sources from which he received information he wrote about in his articles, all of which finally reflected on the state of his health. Authors: Ivana Horvatek and Kristina Markalaus. On 8 March this year the County Court of Zagreb issued a final judgment upholding the verdict of the Municipal Labour Court of April 2015 in the case Peratović – Vjesnik ordering Vjesnik d.d. to pay damages to the plaintiff Željko Peratović in the amount of 89.250.00 HRK, because he suffered a violation of rights of personality because of the violation of reputation and honour, including legal costs in the amount of 37.400 HRK increased for default interest. Vjesnik d.d. at the time, filed an appeal on the verdict which was dismissed as unfounded by this final judgment of the County Court. Considering that the newspaper Vjesnik was shut down, Peratović should receive the reimbursement from the printing office Vjesnik which is state-owned. Based on the presented evidence, the court found that journalist Željko Peratović, in the period from summer 2004 to August 2005 when he received an extraordinary cancellation of labour contract, was harassed by direct subordinates, he was exposed to inappropriate pressure by the editor in chief and her assistants and that fewer and fewer of his articles were being published after he published the article on the candidate for the head of one of the security services in the Republic of Croatia. Furthermore, the judgment states that they put him in potentially dangerous situations even though they knew he received threats from certain circles he wrote about in his articles; that they tried to discredit him as an investigative journalist insisting he reveal the sources from which he received information he wrote about in his articles, all of which finally reflected on the state of his health. I hope this judgment will encourage other colleagues who find themselves in a similar situation to, along with the support, courage and solidarity of witnesses, engage in a legal battle. 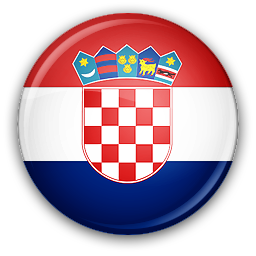 That is also one of the ways to protect the profession and media freedom in the Republic of Croatia. The judgment is important, because it confirms the first instance verdict which found that 11 years ago at a state-owned paper I was exposed to political pressures on the foundations of the profession (not disclosing sources and the like) and not just on me as an individual. I thank the Trade Union of Croatian Journalists (SNH) very much, which has supported me unconditionally all of these years, paying for my lawyer, not doubting that there are reasons for us to do this. To recall, from September 2004 to getting an extraordinary notice, Peratović was exposed to continuous harassment in the workplace; after it was published in the daily paper Vjesnik in March 2004 that several journalists, including himself, were presented to the state leadership of the Republic of Croatia by the former Director of the Counterintelligence Agency (POA) at the time, as journalists conducting enemy activities, the editor in chief Andrea Latinović said that she had received many complaints regarding Peratović’s writing and so his professional marginalisation began. On the above mentioned, Fairpress has written a large feuilleton, the media occasionally reported on this and the professional associations (Trade Union of Croatian Journalists, Reporters Without Borders) reacted in critical situations.